한류스타 7인, 7년간 작품량 살펴보니…"1.8년에 1편 출연"
[스포츠서울닷컴 나지연기자] 평균 1.8년에 1편. 드라마와 영화를 모두 포함해 한류스타 7인의 지난 7년간 활동량을 따져 본 수치다. 거의 2년에 한번 꼴로 대중에 모습을 드러낸 셈이다. 실제 작품 방영 기간과 관객수, 시청률을 따져 본다면 한류스타 만나기는 '하늘의 별따기'만큼 어렵다고 볼 수 있다. 할리우드 스타들과 비교해도 작품량은 현저히 적다. 브래드 피트, 안젤리나 졸리, 톰 트루즈 등 세계에서 정상의 위치에 있는 스타들은 일년에 평균 2개의 작품을 촬영하고 선보인다. 그만큼 한류스타들이 활약은 미비한 수준이라고 볼 수 있다. 배우보다는 스타라는 이름에 더 치중한 느낌이다. 한류스타와 할리우드 스타의 작품 수 차이를 통해 활약상을 비교해봤다. 배우와 스타의 차이점도 짚어봤다. 본격적인 한류가 시작된 건 지난 2002년. 이 때 중국에서 한류라는 말이 처음으로 등장했다. 본격적인 한류스타들의 활약이 시작된 건 2003년. 이후다. 이후 7년이 지났지만 활동량은 팬들을 만족시킬만한 수준이되지 못했다. 1명의 스타가 7년간 평균적으로 단 4작품만을 선보였기 때문이다. 한류스타 7인 중 가장 많은 작품 활동을 한 것은 이병헌이다. 2003년부터 총 6편의 영화와 드라마로 대중에 다가갔다. 가장 적은 편수를 보인 건 이영애로 드라마 '대장금'과 영화 '친절한 금자씨' 2편이 전부였다. 이외 전지현, 최지우가 총 5편, 김태희가 4편, 배용준과 장동건이 3편을 기록했다. 사정이 이러니 시청자와 팬들이 아쉬워하는 것은 당연하다. 평소 한류에 관심이 많다는 대학생 오윤식(25) 씨는 "팬들이 한류스타를 실제로 만날 수 있는 기회는 거의 없다. 그나마 작품을 통해서 교감을 하는데 그 수가 너무 적다보니 아쉽고 불만인 것이 사실이다"라고 설명했다. 반면 할리우드 스타들은 그 인기만큼 활동도 활발하다. 주연, 조연, 목소리 출연, 제작 등 여러 방면을 통해 팬들과 만나고 있다. 1년동안 서로 다른 극과 극의 모습을 선보여 감탄을 자아내는 경우도 있다. 활동량은 평균 1년에 1.8편. 적어도 상반기, 하반기에는 한 번씩 모습을 드러내는 것이다. 브래드 피트는 지난 7년간 총 10편의 영화를 촬영하고 대중에 선보였다. 제작에 참여한 작품까지 합하면 그 수는 훨씬 늘어난다. 안젤리나 졸리와 톰 크루즈도 이에 못지 않다. 두 사람이 7년간 선보인 영화는 13편. 뿐만 아니라 2010년 이후의 촬영 계획까지 모두 꽉 차 있어 향후 활동까지 염두하고 있다. 톰 크루즈의 팬을 자처하는 회사원 김미연(28) 씨는 "처음 크루즈를 알았을 땐 그 외모에 반해서 좋아한 면이 크다"면서 "하지만 시간이 지날 수록 다양한 영화를 통해 폭넓은 연기력을 펼치는 그를 보고 진정한 배우로 인정하게 됐다. 이제 외모를 뛰어넘어 그의 작품 자체에 신뢰가 간다"고 말했다. 할리우드 스타들은 연기 변신을 항상 염두에 둔다. 다양한 이력을 쌓고 영역을 넓히는 길이 롱런할 수 있는 비결이라 여기기 때문이다. 하지만 유독 국내 스타들은 신비주의를 고집하며 몸값을 올리는데 혈안이 되어있다. 결국은 배우보다 스타의 길을 택한 셈이다. 스타와 배우는 분명한 차이점이 있다. 스타는 자신이 구축한 이미지가 끝나면 도태될 가능성이 크지만 배우는 연기를 통해 오래동안 대중과 호흡할 수 있다. 국내의 경우만 봐도 그렇다. 송강호, 최민식 등 연기파 배우들은 계속해서 필모그래피를 쌓으며 흥행 보증수표로 자리잡았다. 한류스타는 다른 배우들보다 한 발 앞선 위치에 서 있다. 자신의 노력 여하에 따라 더 큰 기회, 더 넓은 환경에서 활동할 수 있다. 만약 그가 배우로 남겠다면 어느 누구보다 많은 기회가 제공되는 것도 사실이다. 배우로 활약할 것인가, 아니면 스타로 지낼 것인가는 결국 본인의 판단에 달렸다. “attending ‘Touring S Korea Year’ related conference, an invitation from the Cheong Wa Dae ( Presidential Office). The CF of “Dae Han News” starring Jang Dong Min and Kim Tae Hee also received a similar reproach. Recently a number of celebrities have been dragged into the political spotlight. On the 24th of June the talk of the town revolved around celebrities Bae Yong Joon, Kim Tae Hee and Jang Dong Min etc and politics. Bae Yong Joon became the focal point when he quietly appeared in Cheong Wa Dae on the 23rd. Kim Tae Hee , Jang Dong Min and other comedians were on the <>. In February, after the news about Big Bang being invited by Cheong Wa Dae to sing the patriotic ‘Rap Song’ came out, Big Bang were suddenly the target of a lot of negative attention. Of all these encounters, the most representative is Bae Yong Joon, who has been appointed as the promotional ambassador of the ‘Touring S Korea Year’. He paid a visit to Cheong Wa Dae on the 23rd. 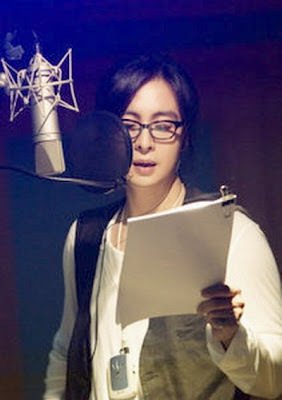 Bae Yong Joon’s agency stated that the inquiries were not merely from the industry, but from every corner of the general public. Being the promotional ambassador attending workers meeting and discussions, it’s never crossed anyone’s mind that this would cause such an intense response. BYJ had no intention to meet President Lee, however many were looking at the matter with different colored glasses on. As soon as the news that Bae Yong Joon had showed up in Cheong Wa Dae's was reported, many second guessed that perhaps Bae Yong Joon was going to accompany President Lee in his forthcoming visit to Japan.. It is perfectly natural for celebrities and politicians to be interconnected. The general public are fond of celebrities, while they face the people honestly, the society entrust them with certain responsibilities. But the present situation is quite the contrary. So long as it involves politics, no matter that it is self promoting or for reward, celebrities are often the target of public opinion, accusations and even attacks. Regarding that Bae Yong Joon will accompany President Lee to attend the S Korea and Japanese Summit meeting, Bae Yong Joon’s agency have stated that this is totally false and groundless. When celebrities get a lot of attention from the public, any political involvement can also bring on a negative backlash from the public. Some show business related figurehead has said regrettably that a celebrity is also a citizen, a human being. Given even I could get a bit of political coloring. However whether the celebrity is involved for the purpose of self promoting or for reward, if they show a bit of political color, the celebrity will be on the receiving end of attacks. I personally don’t think this is correct behavior. 몇몇 스타급 연예인들이 정치권과 관련된 구설로 곤욕을 치르고 있다. 배용준 김대희 장동민 등 일부 스타들이 24일 하룻동안 정치와 관련된 화제의 중심에 서 애를 먹었다. 배용준이 최근 청와대를 조용히 방문한 뒤 세인의 관심을 받았고, 김대희 장동민 등 개그맨들이 <2009>에 출연한 사실이 알려졌다. 일각에서는 지난 2월 청와대가 빅뱅에게 나라사랑랩송(애국랩송)을 부르도록 요청한다는 소식 이후 빅뱅이 치른 곤혹이 반복되는 게 아니냐고 아쉬워하고 있다. 그 대표적인 예는 배용준이다. 배용준이 한국 방문의 해 홍보대사 자격으로 23일 청와대를 방문했다. 그의 소속사 측은 “연예 관계자 뿐 아니라 각계에서 문의 전화를 받았다. 홍보대사로서 실무와 관련된 상의를 한 것인데, 뜻하지 않게 일이 커진 것 같다”고 말했다. 이날 배용준은 이명박 대통령과 만난 것이 아니다. 하지만 홍보대사로는 이례적으로 청와대를 방문한 탓에 색안경을 끼고 보는 시선들이 잇따랐다. 배용준은 이 보도 이후 이명박 대통령이 일본을 방문하는 자리에 배석한다는 추측이 불거진 후 또 한번 진땀을 빼야 했다. 개그맨 김대희와 장동민도 24일 정치와 관련된 이슈의 중심에 섰다. 두 사람은 25일부터 전국 극장에서 상영될 <2009> ‘4대강 살리기’편에 출연해 일부 네티즌으로부터 비난을 받고 있다. 이 동영상은 KBS 2TV 의 ‘대화가 필요해’ 컨셉트로 4대강 살리기와 관련된 코믹 홍보 영상물. 하지만 일각에선 국가 정책을 알리기 위해 영화 상영 전 의무적으로 스크린에 걸었던 ‘대한뉴스’와 이름이 같다는 이유로 의혹 어린 시선을 던지고 있다. 스타급 연예인들이 정치권과 인연을 맺는 건 자연스러운 일이다. 대중의 사랑을 한 몸에 받는 스타들이 자신의 의견을 피력하면서 사회의 발전에 기여하는 게 바람직하다는 이유 때문이다. 하지만 최근 상황은 정반대다. 정치와 관련된 문제에 관련될 경우 진보든, 보수든 상대진영으로부터 뭇매를 맞곤 한다. 올초 빅뱅이 치른 곤욕이 대표적인 예다. 빅뱅은 당시 애국심을 고취시킨다며 애국랩송을 만들겠다는 청와대의 계획에 이름이 거론되면서 논란에 중심에 섰다. 결국 노래는 만들어지지 않았지만 애꿎은 빅뱅만 속앓이를 했다. 배용준 김대희 장동민 등도 24일 하룻동안 갖가지 해명을 하느라 진땀을 빼야 했다. 배용준이 한일 정상 회담에 배석한다는 설에 대해 소속사는 “제안조차 받은 적이 없다”고 어리둥절해 했다. 장동민과 김대희는 광고 개념으로 상영되는 에 출연한 이유로 논란의 중심에 서게 됐다. 이 같은 대중의 뜨거운 관심은 대선 때 일부 ‘폴리테이너’의 지나친 정치 활동이 대중에게 정치 혐오증을 일으켰기 때문으로 분석된다. 윤도현 신해철 등 진보 색채의 연예인들은 보수 진영으로부터 공격 받고, 이명박 정부에 입각한 유인촌 문화체육관광부 장관은 진보 진영의 감시를 받는 상황이 벌어지고 있다. 한 연예 관계자는 “연예인도 국민의 한 사람이다. 저마다 정치색이 다를 수 있다. 다만 진보든, 보수든 정치색을 드러내는 것 자체만으로 상대 진영으로부터 공격받는 건 부당하다고 생각한다”고 아쉬워했다. Japan's Tokyo Dome to Display Korean Cultural Content in September 2009. The Asian cultural content company Keyeast Co., Ltd. (www.keyeast.co.kr) officially announced that it will be holding a large-scale event on September 29-30 at the Tokyo Dome in Japan to celebrate the upcoming publication of the Beauty of Korea (name subject to change), which is a book introducing the culture of Korea, and the broadcast of the Winter Sonata Animation in Japan. This event, which will be the first major project to be planned and managed by the new affiliated company of Keyeast, Digital Adventure (DA) (www.digiadv.co.jp), has attracted the attention of many in Japan as Bae Yong Joon and Choi Ji Woo have not appeared in public together since the end of the original Winter Sonata television series 7 years ago. 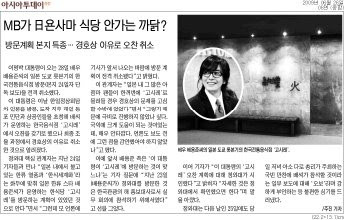 In addition, many people are excited about this event because it will be the first public event for the Beauty of Korea, for which Bae Yong Joon himself traveled around Korea to explore the cultural traditions of Korea. On September 29, the animation version of Winter Sonata will be introduced, while the next day's event will celebrate the publication of the Beauty of Korea. The cost of the tickets for each day will be 8,925 yen per person and these tickets will be available for sale on July 11. A lot of excitement also surrounds the making video for the Winter Sonata Animation, for which sales will begin on September 18. 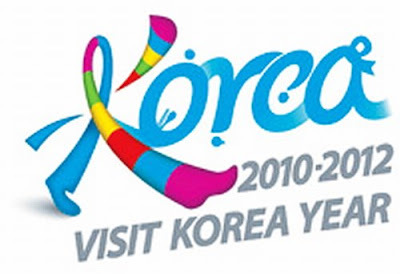 A spokesperson for Keyeast stated that "we planned this event with the desire to create an atmosphere allowing the exchange of Asian cultures, including video content and traditions, as opposed to simple fan meetings, and this event is expected to have a significant impact on the sales for 2009 as it will provide much publicity and exposure for some of our key business projects." This event is the first major project to be handled by DA after becoming an affiliated company of Keyeast. And this event has caught the attention of the industry because instead of relying upon outside partners, Keyeast has been able to proceed solely through a company within its family, thus fully utilizing the available managerial resources and the synergy effects arising from the addition of DA to its family. 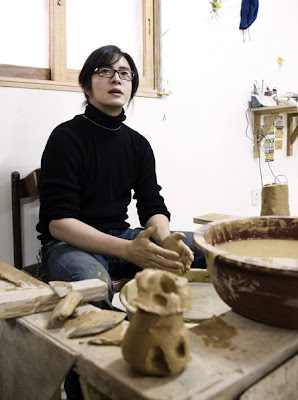 We would like to inform you that Bae Yong Joon’s Japan visit in September has been decided. Upon this Japan visit, two events have been determined. An event for Animation ”Winter Sonata” which Bae Yong Joon currently challenges as voice actor for first time. And other event, to introduce the book “Beauty of Korea (tentative)” which he is reporting and writing his experiences on Korean traditional culture and traveling spots. Animation “Winter Sonata” is already a big topic as Bae Yong Joon and Choi Ji Woo are co-starring as voice actors after 7 years since the drama “Winter Sonata.” It will be first time in Japan for the two actors to stand on the same stage outside the drama. Also, “Beauty of KoreaI(tentative)” is scheduled to be on sale both in Japan and Korea in autumn. At the event, Bae Yong Joon will introduce it’s contents himself. วัน : วันอังคารที่ 29 กันยายน 2009 เปิดประตูเวลา 16.00 น. เริ่มงานเวลา 18.00 น. วัน : วันพุธที่ 30 กันยายน 2009, เปิดประตูเวลา 14.00 น., เริ่มงานเวลา 16.00 น. Actor BYJ will pay an official visit to Japan in coming September, and hold meeting with 100,000 fans on a stage in Tokyo Dome. That event, sponsored by Digital Adventure (DA), a subsidiary of the Key East, will be holde on both days of September 29 and 30, to commemorate Japanese broadcasting of the 'Animation Winter Love Song' and publication of 'Beauty of Korea' (tentative title), which BYJ is authroing. The Tokyo Dome, where this event is held, is the largest performing art venue in Japan, that can hold over 40,000 audiences and it is a stage where world famous pop singers such as Maddona or Biyonce, etc, or big stars in Japan. BYJ plans to meet about 90,000 audiences at the Tokyo Dome in 2 days, and it is the largest size for Korean actors. Also, the Tokyo Dome event is planned to be aired live by satellite in movie theaters in entire Japanese regions for fans in rural areas, it results in holding total of 100,000 Japanese audiences, including movie theater audiences. In particular, the event 'Animation Winter Love Song, again one story' to be held on September 29, many actors including Choi Jiwoo, who appeared in voice acting together with BYJ plan on appearing in one stage. It gathers much expectation for fans of drama 'WLS' to become an unforgettable moving moment. On Sepbemter 30, next day, they will hold an event to commemorate publication of 'Beauty of Korea' (tentative title), that introduces traditional culture and travel sites of Korea. 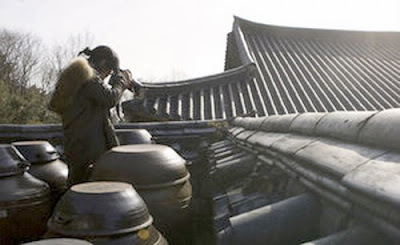 Over one year, BYJ has been greatly devoting himself (literally, pouring his heart and blood) for authoring as he visited traditional cultural and travel sites of Korea, personally gathering information and experiencing them. His each movement and action, while carrying on schedule unofficially in various areas in entire Korea, has created issue each time. In this event, BYJ, not only personally introduces content of the book, but also plans to make profoundly significant time for audiences to deeply understand Korea with diverse programs. BYJ, doing a last minute's work for the 'Beauty of Korea' (tentative title0, along with dubbing of 'Animation Winter Love Song' at present, plans to visit (Japan) officialy in about one year and 3 months since 'TWSSG Premium Drama Event' in June last year. King Naresuan The Greart of Siam (Film) / Best Filmmaker Scene by Scene of Asia-Pacific 2008. The Legend of King Naresuan (Thai : ตำนานสมเด็จพระนเรศวรมหาราช, Tamnan Somdej Phra Naresuan) is a two-part 2007 Thai biographical historical drama film about King Naresuan the Great, who ruled Siam from 1590 until his death in 1605. The films are directed by Chatrichalerm Yukol and are a followup to his 2003 film, The Legend of Suriyothai. Part I, Pegu's Hostage, was released on January 18, 2007. Part II, Reclaiming Sovereignty, was released on February 15, 2007. A third part was initially expected to be released on December 5, 2007, in celebration of King Bhumibol Adulyadej's 80th birthday, but that release date has been pushed back to later in 2008. Filming on part III is expected to begin in early 2008, with Tony Jaa among the featured actors. Part I deals with Naresuan's boyhood, when he was taken hostage by Burmese King Bayinnaung to keep the vassal Ayutthaya Kingdom subservient. During this time, he was a novice Buddhist monk under the tutelage of a wise father-figure monk (Sorapong Chatree). Part II depicts Naresuan as a young adult prince, already a formidable military strategist, as he leads his army on exploits against breakaway kingdoms for King Bayinnaung's successor, King Nonthabureng, and eventually breaks away to declare sovereignty for Siam. Part III was to depict Naresuan's military and leadership skills and the expansion of the Siamese kingdom. In production for more than three years, the project has an estimated budget of 700 million baht, making it the most expensive Thai film made. As King of Fire, part II was selected as Thailand's submission to the 80th Academy Awards for Best Foreign Language Film. 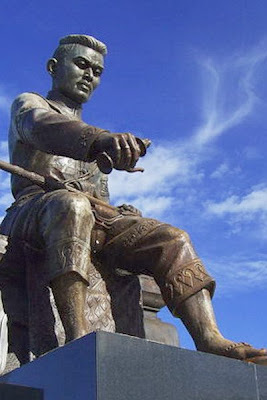 The Pegu forces of King Bayinnaung overrun Phitsanulok, ruled by King Thamaracha, who had hoped for help of forces from Ayutthaya, but King Chakrapadi needed the troops to protect his own city. Bayinnaung demands that Prince Naresuan, the young son of Thamaracha, be given to him as a hostage to ensure Phitsanulok's loyalty. Bayinnaung then takes Naresuan on his military campaign to Ayutthaya, schooling the boy in the ways of war. Ayutthaya falls and becomes a vassal state of Pegu, with Thamaracha installed as its leader. In Pegu, Naresuan is treated as a son of Bayinnaung and afforded all the comforts and respect due to a prince. He rides his horse into "Siamese town" near the palace, home to Siamese refugees of the war, and rescues another boy who is being chased by a mob because he stole some food. The unkempt street urchin does not know his name so the head monk, Khanchong, names him Bunting. Naresuan is then ordained as a novice monk in the Buddhist temple, and Bunting is made a temple boy. The two friends then befriend a temple girl, Manechan. The three children engage in various sorts of mischief, including taking part in cockfighting, despite the orders of Khanchong. Under Khanchong's tutelage, Naresuan learns more about martial arts and methods of war. Bayinnaung, meanwhile, is continuing his campaign to consolidate control of Siam. Naresuan's older sister, Princess Supankulayanee is brought to Pegu to also serve as a consort to the king. With his sister now held hostage, the young Naresuan decides it is time for him to return to Siam. Already showing superior fighting skills, he attracts a band of loyal fellows and makes his escape. Many years have passed since Naresuan returned home to Siam. Now the ruler of Phitsanulok, the adult Prince Naresuan has attracted more followers to his army. His aide-de-camp is his boyhood friend, Bunting, now christened Lord Rachamanu. Naresuan's fighters include an African warrior and a Japanese samurai. Word is received in Ayutthaya that King Bayinnaung has died. Ayutthaya King Thamaracha believes it is important that he go and pay respects, but his son Naresuan, having been raised in Pegu and who regards Bayinnaung as a second father, convinces Thamaracha to let him go. In Pegu, representatives of nearly all the kingdoms in the realm gather to pay respects to the departed Bayinnaung and also swear loyalty to the new king, Nonthabureng. Naresuan and Bunting are reunited with their childhood friend Manechan, who is now a lady in waiting to Princess Supankulayanee, Naresuan's sister, who was made a consort of Bayinnaung. Naresuan and Manechan share an immediate romantic connection. One of the Pegu vassal states, Khang, did not send a representative, so Nonthabureng orders three armies to attack the kingdom. Naresuan takes his army into the fight. The first two armies fail in their attack of the impenetrable fortress of Khang, which is defended by fierce archers commanded by Princess Lurkin, daughter of the Khang king. Naresuan, held in reserve, finds a way to penetrate the city's rear entrance and storms the city. Bunting trades blows with Lurkin and is enchanted by the fierce warrior princess. He chases her down and persists with his romantic overtures until she surrenders to him. Naresuan now must look for a way to return to Siam. Nonthabureng's son, Prince Upparaja, is jealous of Naresuan's military prowess and surmises that Naresuan is going to betray Pegu. He plots various attacks against Naresuan, including sending a band of headhunters to attack Naresuan. At a river crossing back into Siam, Naresuan finds his forces under attack. With his army across, Naresuan is given a long rifle by his tutor, the monk Khanchong. Naresuan takes aim at the Pegu commander across the mile-wide river and fires, killing the man and firing the first shot in a declaration of independence for Siam. King Naresuan Part I: Hongsawadee's Hostage, grossed more than 100 million baht on its opening weekend, despite some production problems with the film. After a world premiere screening on January 16, director Chatrichalerm Yukol continued to edit the film. On opening day, January 18, 2007, prints of the film were still not ready for wide distribution, and were delivered late in the day in Bangkok cinemas and screenings were canceled in the provinces. Part I received mixed reviews in the local media. The Bangkok Post said the film was "torn between the need to be a serious historical movie and popular entertainment for the masses." But The Nation called it "a beautiful movie, planned to meticulous detail with the exotic designs and colors of the royal dresses, golden palaces and exotic temples." The Nation also hosted a forum for readers to comment on the film. King Naresuan Part II: Reclamation of Sovereignty, premiered in a wide theatrical release in Thailand on February 15, 2007. The #1 film at the Thailand box office for several weeks, it earned US$7 million. Critical reception was more favorable than the first installment. Kong Rithdee of the Bangkok Post said: "Surprise, surprise: Naresuan II is good fun. The pacing crisp, the acting passionate, the warfare intense." Jeerawat Na Talang, columnist for The Nation, wrote on her blog: "This is simply the best Thai film I have seen in years ... Compared to the first one, the sequel is better such as in terms of cast and editing." Submitted as King of Fire, Part II was Thailand's entry to the 80th Academy Awards for Best Foreign Language Film. Part II was also the opening film at the 2007 Cinemanila International Film Festival, and both films were screened out of competition in the Thai Panorama section of the 2007 Bangkok International Film Festival. 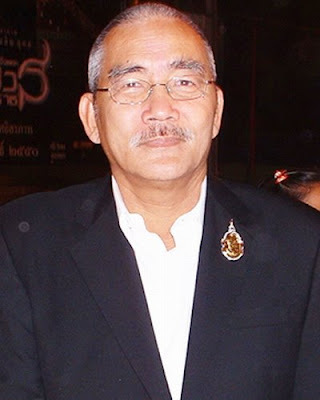 HSH Prince Chatrichalerm Yukol /His Serene Highness Prince Chatrichalerm Yukol (Thai: หม่อมเจ้าชาตรีเฉลิม ยุคล, born November 29, 1942) is a Thai film director, screenwriter and film producer. 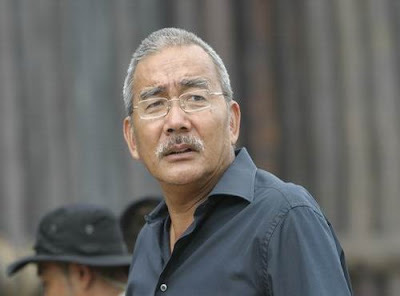 A prolific director since the 1970s, among his films is the 2001 historical epic, The Legend of Suriyothai. A member of the Thai royal family, his official royal title is Mom Chao, or M.C., the most junior title still considered royalty. 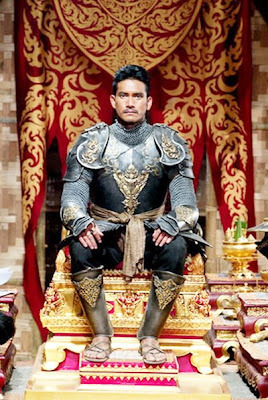 He is theoretically 19th in line for the Thai throne. He is widely known by his nickname, Than Mui. For Suriyothai as well as his 2007 historical epic, King Naresuan, Chatrichalerm received the support of Queen Sirikit. Four of his films have been submitted by Thailand for the Academy Award for Best Foreign Language Film: The Elephant Keeper, Song for Chao Phya, Daughter 2 and King of Fire. Siam is an ancient Kingdom and hath always been very mighty, but afterwards it hath been subdued by the King of Pegu, becoming a tributary unto him. But it continued not long in that estate, For this King, Dying, left issue 2 sons, which were brought up in the Kings court of Pegu; who flying from thence to Siam, whereas the eldest, called Raja Api, in the Malays language the Fiery King, but by the Portuguese and other nations the Black King…. One of the most important historical scenes recalled by Thai students in their studies is the story of the single combat between King Naresuan and the Viceroy of Hantawadi.The combat ended with a victory for Ayuthaya and a defeat for Hantawadi. The story of this confrontation depicts the determination of two courageous lords of two great Kingdoms of southeast Asia .Despite the popularity of this story in Thai history, however, few students realize that in actual fact, King Naresuan was respected far beyond the borders of Siam, and his brave heart was highly acknowledged throughout the East. The Ming shi chronicles, which are the official record of Ming dynasty, report that Hideyoshi sent epistolary messages from Japan to Kingdoms and principalities such as Da Ming ( China in the Reign of the Ming) Ryugu, Luzon, and Ayuthaya demanding that they send tribute to him in 1592,Hideyoshi actually sent an army into Korea; his words were not just casual messages. In those days King Naresuan sat on the throne of Ayuthaya. In the same year, the King sent a mission to Beijing to inform Da Ming that Ayuthaya was ready to undertake a joint effort of outflank Hideyoshi ’ forces and to curb the latter ‘ s invasion attempts. On the 31st of October,1592. Da Ming welcomed the Ayuthaya mission with banquet. Meanwhile, the Hongsawadi had marched upon Ayuthaya once again, with decisive and disastrous results. In single combat on elephant-back. King Naresuan defeated the Hantawadi Viceroy Mang Samkeit on the 18th of January,1593. Despite the valor of the Siamese king, however, the Governor of Guang Dong and Guang Xi counseled the Chinese. Emperor that Da Ming was too great a kingdom to require the support of foreign troops. Siam, being so very distant, could hardly send an army to the aid of Da Ming. Therefore, the plan for a joint military effort was never realized. Although King Naresuan’s offer to join forces with the Middle Kingdom gives insight into his imaginative boldness, gallantry and vision, this story is seldom mentioned in textbooks. Those interested should look under Ming shi for further details. อโณทัย กราบทูลว่า : กระหม่อมตั้งใจไว้ว่า แม้ยามตายก็จะเอาติดตัวไปด้วย.. นอกจาก...คนที่ให้..เขาทวงคืน..ซึ่งเท่ากับว่ายื่นความตายให้กระหม่อมเหมือนกัน เพราะเท่ากับเขาบอกกระหม่อมว่า ระหว่างเรา ไม่เหลืออะไรอีกแล้ว..